I don’t remember who requested Reptilian to be added the Daikaiju Discussion list, but for those of you who did… here you go? That sure was a film almost. 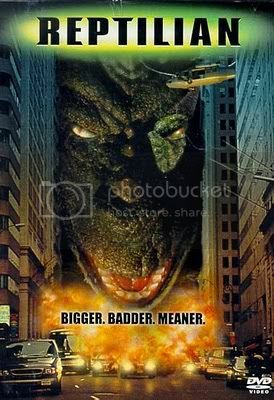 Ok, seriously, this film is a 90s remake of the 1967 South Korean kaiju film, Yongary (which coincidentally has been released on Bluray somewhat recently). Let’s be honest, this was a really terrible film and definitely one that was made more bearable thanks to my cohosts for the episode Martin, Sean and Charlie. — Come by Booth 820 to see “Kodoja vs. Kaijucast” and get your picture in our Portland cityscape! 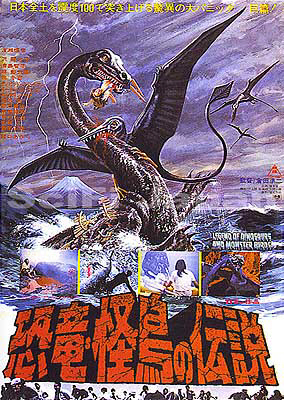 Next month, we’ll be discussing a Toei Film from 1977, Legend of Dinosaurs & Monster Birds. This movie is available on DVD but can be very expensive. If you’d like to be part of the daikaiju discussion, please send in your homework e to be included in the discussion episode.